For that one bike that’ll do it all, look no further than the Genesis Croix De Fer MGT. One day it’ll be your daily commuter, and on the next you can bolt on all your racks and bags and head for the hills, clocking the miles with ease. 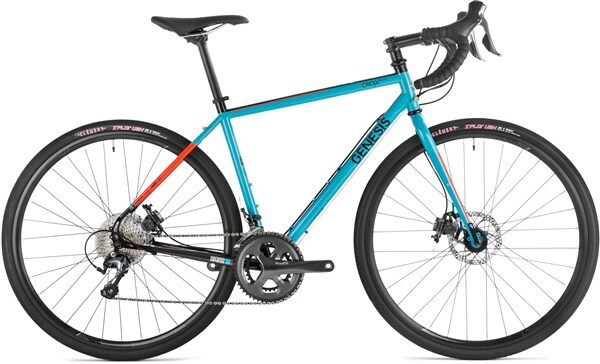 The Croix De Fer is happy to take on gravel and off-road terrains, and the steels frame is up for anything. This edition of the Croix de Fer gets a special MGT Replica paint scheme for a unique styling. Fast and responsive, yet stable, surefooted and perfectly balanced, the CdF 20 personifies fun on two wheels, paved or unpaved. Without doubt the closest bike in our range fitting the fabled 'one bike' mantra. Commuting duties during the week then epic, multi-terrain adventures at the weekend, the Croix is a capable and adaptable beast of a bike that rarely gets fazed whichever way you point it.